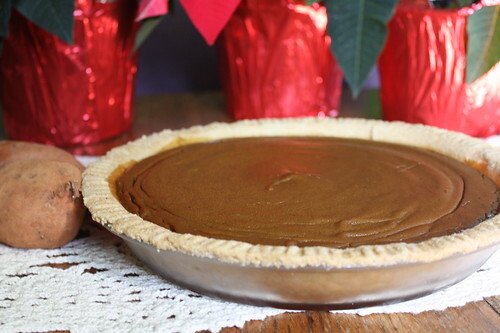 Crock Pot Sweet Potato Pie – Nom! Who says that eating healthy has to be a lot of work? 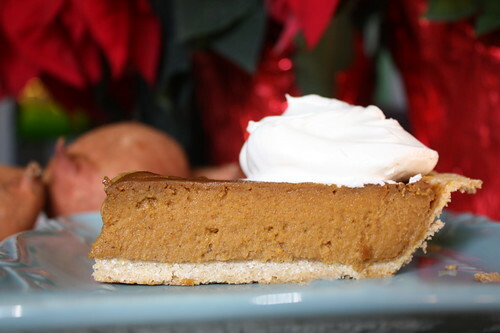 Here’s an easy and healthy way to to make crock pot sweet potato pie. Wash, peel and cut your sweet potatoes. Do even slices so they all cook evenly. Mix together all wet and dry ingredients besides the eggs in a mixing bowl. 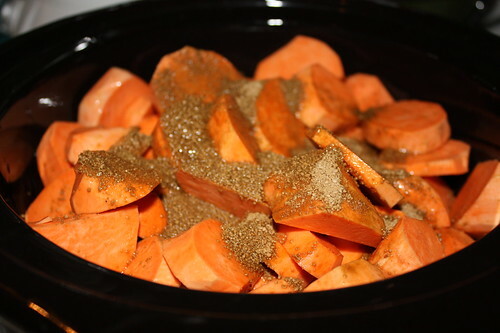 Add sweet potatoes to the crock pot and pour the mixture over it. Cook on low for 6 hours, or on high for 2 hours. Let mixture slightly cool, and pour into a mixer with your eggs. I actually just used my stainless hand mixer and blended the ingredients inside the crock pot. Mix until well blended. Poor mixture into pie crusts. Bake in the oven for about fifty minutes, or until knife inserted in center comes out clean. Prep Time: 15 minutes Cook Time: 3-7 hours (depending on how long you cook it in the crock pot) Servings: Four pies with approximately 8 servings each. Isn’t it beautiful? And it came out oh so creamy and delicious! If you like this, be sure to also check out how to make pumpkin pie from a pumpkin – completely from scratch baby!! OMG, that looks AMAZING! I am going to make that! Oh my! That looks INCREDIBLE! I’m guessing the same recipe would also work with pumpkins instead of sweet potatoes? I’ll definitely be trying this recipe! Thanks so much for posting it! Well no because Pumpkin Pie needs heavy cream. That recipe is coming soon. Hmmm…probably a week or so in the fridge.